I knew Bertrand Russell's younger son Conrad, who was an inspirational figure in the early years of the Liberal Democrats. I am therefore three moves from Mr Gladstone - and almost anyone of importance between him and the Second World War. Even though @joseph_carterUK is the Welsh Liberal Democrats' housing spokesperson, councillor for Pentwyn and Llanedeyrn, and Cardiff Lib Dems' housing and social services spokesperson, my money is on Anthony Joshua. Lord Bonkers adds: Pound for pound, Joe Carter ("The Pentwyn Puncher") is the best Liberal Democrat boxer since Sugar Ray Michie. Esther McVey says it is a good thing is teenagers have Saturday jobs. Though the reasons she gives are too narrow - all about readying themselves for the world of work - she is right. Because such a job teaches teenagers things about people and the world they won't learn in the classroom. And if, like me, you come from a poor family, the extra spending money is very welcome. 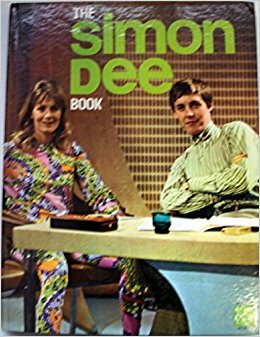 As a teenager myself, I first had a job I didn't much enjoy in a gentlemen's outfitters and then one in a secondhand bookshop where I thought I had died and gone to Heaven. My Twitter timeline is full of outrage at the idea. But I can't help noticing that some of the most prominent opponents went to public school and thus had teenage years very different from those experienced by the rest of us. On a similar note, I wonder if the fact that Nick Clegg and David Laws were packed off to prep school at a tender age means they did not grasp just how much a public library means to an intelligent child from an average home. Hence their savage cuts to local government funding. Anyway, if the Conservatives want to see teenagers take Saturday jobs they are going to have to start dismantling the superstructure of testing and homework that has been erected over state school over the past three decades. The BBC report on McVey's remarks interviews some teenagers who make it clear how hard it is to combine school and a job of any sort. "I look at the rise of intolerant forces. Then I look at the progressive political forces ranged against them, using the same old language they have always used, and the political defences for civilisation don’t seem very strong or convincing." David Boyle asks why voters hate the centre left. Jeremy Corbyn and Tony Blair share an unshakable belief in their own righteousness, argues Marina Hyde. Kenilworth Books says the publishing industry must find a better way of rewarding authors. "A measure of schadenfreude is not just allowed, it is entirely appropriate. This is not just because the guilty men are all Australians ... but because while the gulf between how the Australians think of themselves and how they are perceived by everyone else has often been wide it has not always been as unbridgeable as this." Alex Massie on sandpapergate. Russ J. Graham revisits the rapid rise and fall of Sixties TV personality Simon Dee. Last time I visited Leicester's Newarke Houses Museum I watched a video about the clearance of the city's slums. Praising the council's efforts and refusing to admit that anything was lost in the process, it was like something out of Eastern Europe before the Iron Curtain came down. I won't say I walked out in protest, but I didn't make it to the end. Finding myself at a loose end in that part of the city today, I visited the museum again today. I was delighted to find that some of the shops from Wharf Street had been recreated as they were in the 1940s. Recordings of shopkeepers and customers played as you walked in. No longer is this area of the city treated as an embarrassing secret. As I tried to convey in a post after visiting it, Wharf Street and the area around it has a history that should be celebrated. That situation may finally be changing. A ... plan has been submitted to Leicester City Council to build a multi-coloured 11 storey residential complex in nearby Wharf Street South with 72 flats above four shops at ground level. Platinum Homes has told officials at Leicester City Council the building will create a new gateway between St Matthew’s and the city centre which will be vibrant and eye catching. The company says the project, if approved, will help make the area cosmopolitan and dynamic. A company spokesman said: “This is an opportunity to create housing for local people and regenerate a part of Leicester that has been neglected in the past. “The buildings on the site have been vacant for over ten years and are subject to vandalism and damage. He said the building would be a good addition to the city centre landscape. Wharf Street was vibrant before it was pulled down. 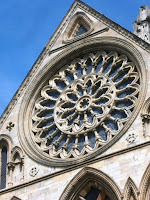 It would be good to see it vibrant again. Earlier in the week I learnt an interesting fact about Bill Maynard and thought of writing a blog post about him. And now he has died. It's Bob Appleyard all over again. But there are many more interesting facts, some of them confirmed in an interview he gave to Harborough FM. He was well into his anecdotage, but we do learn that he did a lot of straight acting as a younger man. From a local point of view, Maynard was born Walter Williams in Surrey. His family soon moved to Leicestershire, and he grew up in poverty in South Wigston and won a scholarship to Kibworth Grammar School. I recall reading once that he had a job with R. & W. Symington, the Market Harborough corsetmakers, before he went into show business full time, but I cannot find a source to confirm that. His Guardian obituary confirms he was in the rag trade though. In 1957 he finished fourth in A Song for Europe, the British eliminator to choose our entry for the Eurovision Song Contest. You can hear him on Youtube. His son led the band Ryder who represented Britain in 1986 and came seventh. In 1984 he stood in the Chesterfield by-election as an Independent Labour candidate to protest against the candidacy of Tony Benn. He finished fourth with 1355 votes in what was then a record field of 12 candidates. In 1989 he married Tonia Bern, the widow of Donald Campbell. Campbell had died in 1967 when his craft Bluebird crashed on Coniston Water as he tried to break the world water speed record. Earls Barton stands in the Nene valley to the west of Wellingborough. It is know for shoemaking and the Saxon church that commands every approach to the village. 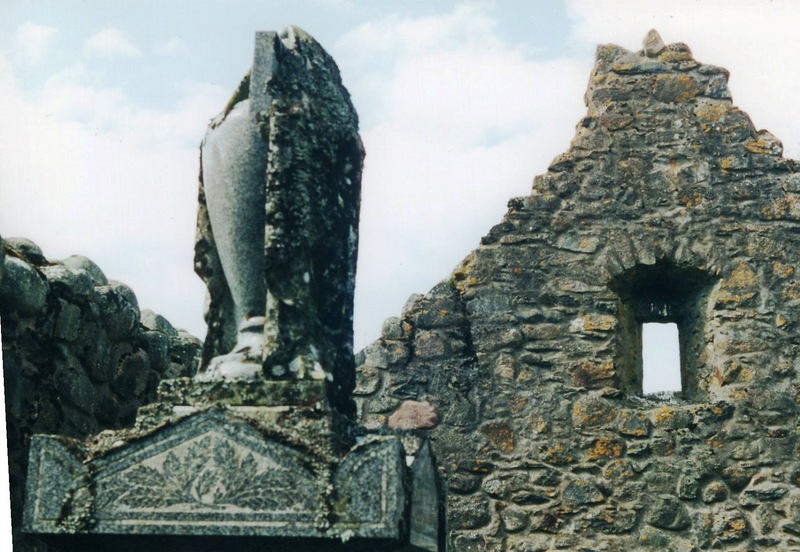 What remains of the church from pre-Conquest days is its rustic and powerful tower. There is also an impressive earthwork behind the church, which could be prehistoric, Saxon or Norman. As at Irthlingborough, the churchyard commands views across the valley. The interior must wait for another day. It is obviously well looked after, but that is not a current Leicester phone number and I can find no sign of the company anywhere else. 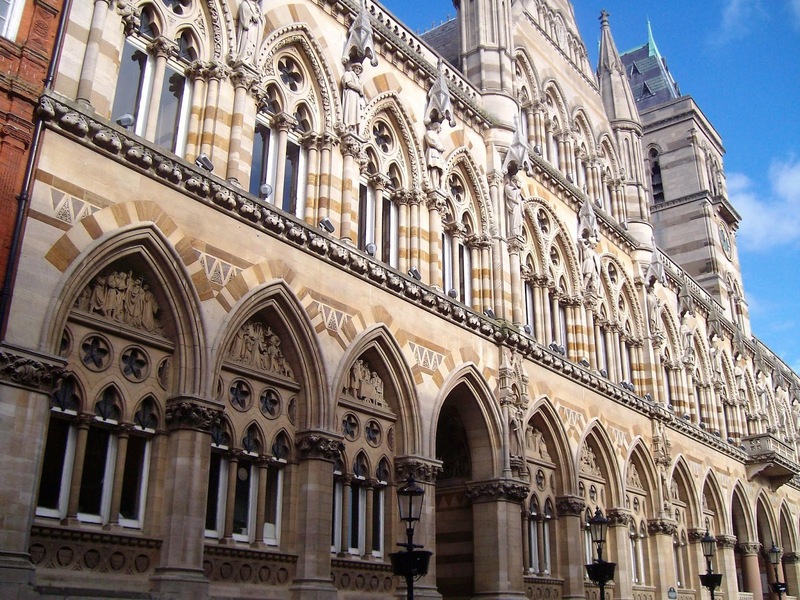 On Tuesday evening the Guardian reported that the government is going to send in commissioners to run Northamptonshire Country Council. The Conservative-run authority issued a section 114 notice at the start of February. This imposed financial controls and banned expenditure on all services except those with statutory safeguarding obligations. Northamptonshire was the first council to issue such a notice in two decades, but it won't be the last. The Guardian says the National Audit Office has suggested that up to 15 other councils could follow suit in the next three years. No doubt mismanagement by the Conservative cabinet played a part, but authorities are having to cope with a rising demand for social care and a 50 per cent cut in central government grants since the Coalition was formed in 2010. Today came news that David Mackintosh, former Conservative MP for Northampton South and former leader of Northampton Borough Council, was interviewed by police under caution. The inquiry concerns a £10m loan made by the council to Northampton Town Football Club. As the BBC report says, the funds have "seemingly vanished, leaving an unfinished stand". There have also been questions about the funding of Mackintosh's campaign when he was elected to parliament at the 2015 general election. He was obliged to stand down when in became clear that the members of his constituency party did not want him as their candidate in the 2017 election. For as long as I have known him, which is over 30 years now, the Market Harborough Lib Dem councillor Phil Knowles has been campaigning for better hospital services in the town. 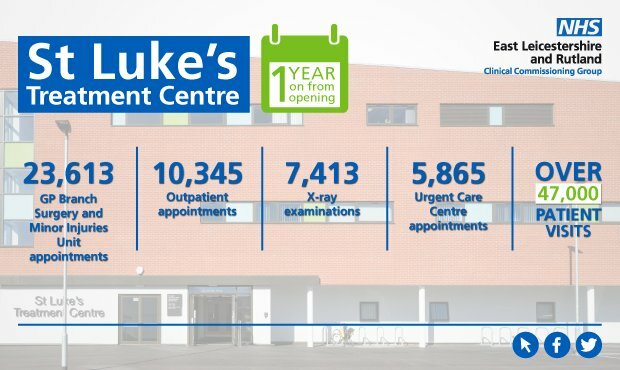 His ambition was fulfilled a year ago when the new Treatment Centre at St Luke's Hospital opened. And, as the infographic above shows, the people of the town are making good use of it. "I warmly congratulate the NHS Clinical Commissioning Group on the success of the facility. It’s a £7.5m investment that is paying huge dividends. "The outpatient services, state of the art X-ray service and overall patient care facility are contributing greatly to the care of our residents. "Many much-needed clinical support services are now delivered in Harborough rather than patients having to travel to Leicester or Kettering. "I extend my thanks to all of the medical teams for the care and services they have provided here in Harborough over the past year and I hope that in year two the success of the unit will continue to grow." Amalia Illgner says it is time to end the internship system as it excludes the less privileged from the arts, media and politics. She's right. "The irony of the young academic attack on 'privilege' comes into relief when we consider that colleges and universities serve as the gatekeepers of class status in the West." Samuel Biagetti thinks checking your privilege does not offer much in the way of social critique. James Poniewozik welcomes the return of Roseanne to American television: "The Conners aren’t just preserved. They’re stuck. And they’re stuck in a way that underlines the show’s original mission of representing the kind of paycheck-to-paycheck life that other, more upscale sitcoms of the era left behind." Sam Jordison on the perennial popularity of Stella Gibbons' Cold Comfort Farm. "I'm not going to be too curmudgeonly. The film looks fantastic (apparently they decided to do it in black and white when they realised that the colours of the California vegetation are insufficiently Welsh)." 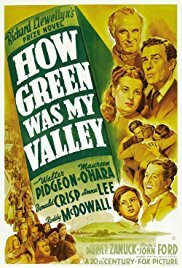 Nicholas Whyte has been watching the 1941 Oscar winner How Green Was My Valley. Jerry Griswold looks at Nicoletta Ceccoli's picture books for adolescents and adults. Syston, which was reopened in 1994, has a single platform on the bidirectional slow line north of Leicester. That platform is served (in both directions) by local trains from Leicester to Loughborough and longer-distance trains on the Leicester to Lincoln service. The local trains to Loughborough were meant to be the first part of a project that would have seen the freight line from Leicester through Coalville and Ashby de la Zouch to Burton upon Trent reopened to passengers. But funding for this was never made available. Early on the local service was known as the Ivanhoe Line as Walter Scott's novel featured Ashby Castle as a setting. 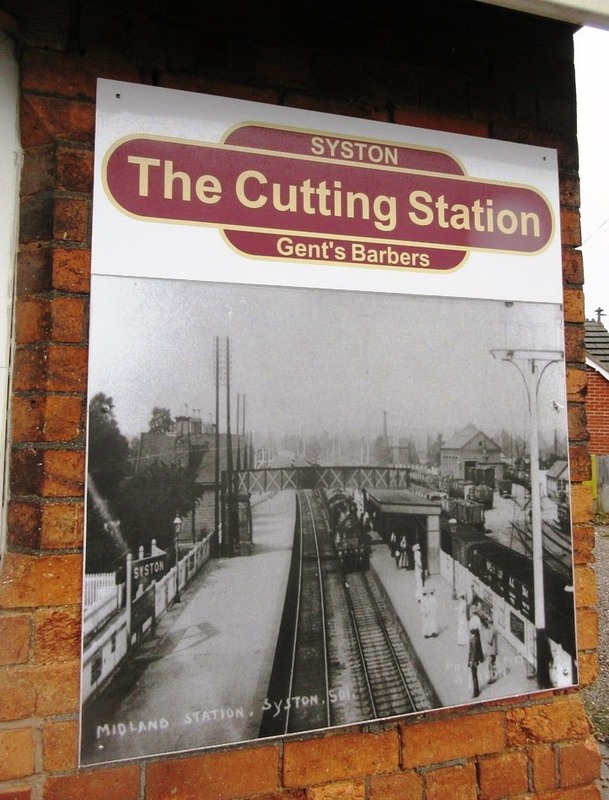 Syston station used to be a more substantial affair, as you can see from a blown up photograph in the window of a hairdresser that occupies what must once have been the goods yard office. Sheffield Council has tonight blamed the “increasingly dangerous tactics” of campaigners as it confirmed controversial work to fell thousands of Sheffield’s street trees has been partly put on hold following growing street protests and major political pressure. A 73-year-old retired fireman was arrested on suspicion of witness intimidation of a security guard in relation to a previous assault allegation, while last week a woman was arrested for blowing a toy horn under the Public Order Act. 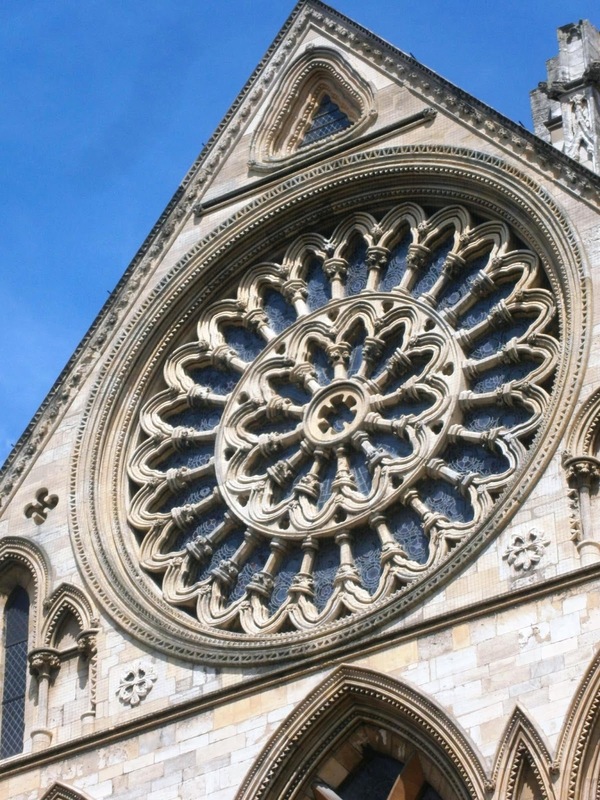 The following day, a vicar carrying a tambourine and a woman with a pink recorder were arrested, one for obstructing the highway and the other on suspicion of obstructing a constable. The mass felling of trees has been taking place because of a PFI contract with Amey negotiated by a previous Liberal Democrat administration and signed by the current Labour-led Sheffield City Council. "I hope Sheffield City Council uses this time wisely. We have a real opportunity to sit down and sort this out. They can’t just carry on business as usual after the pause. The way the council have handled the street tree situation really lacks trust and transparency. Sheffield City Council can now use this pause to sit down with tree campaigners to come up with a solution which works for the whole of the city. 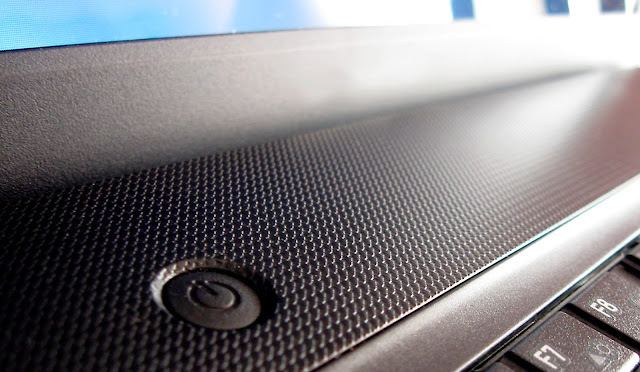 This is a story I have tweeted about incessantly but have not mentioned on this blog before. Well done to everyone who brought about the political pressure that led to this pause in the felling. 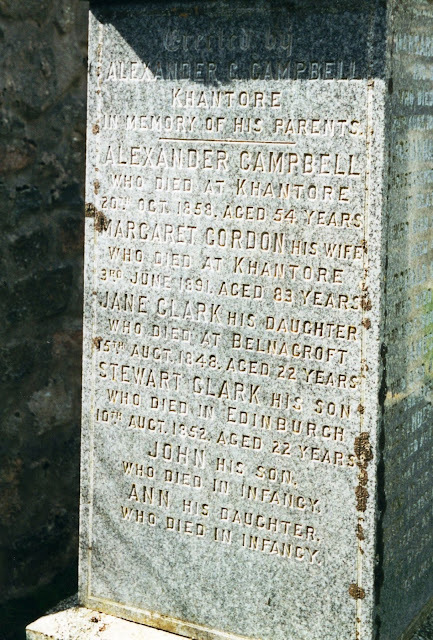 As I once blogged, my Campbell forebears are remembered in Crathie Old Kirkyard. Since then I have found some photographs I took there of the monument erected by Alexander Campbell, who refused to shave off his beard for Queen Victoria. Jane Clark Campbell is my great great grandmother, so I have shown the side on which she appears. The flowers are by the monument because my mother had brought them for her. 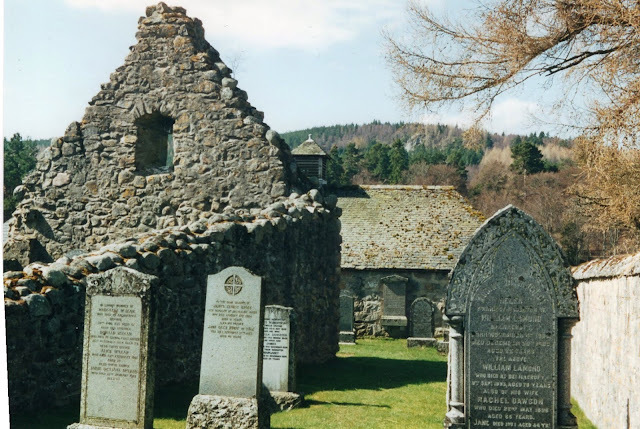 The Old Kirkyard is by the Dee, away from the mausoleum-like church the Royal Family attends when staying at Balmoral. It's only 23 hours long, but today is my birthday. And by tradition that means I am allowed to choose a Spencer Davis Group track as my Sunday music video. I have steered clear of this one until now because Percy Sledge's original is so strong and the idea of a white teenager covering it sounds rather silly. But Steve Winwood's vocal performance here is terrific. There are stories that the Spencer Davis Group were played on Black radio stations in the US so a promotional film had to be made showing the world that the band's members were white. That may explain the existence of this video for Gimme Some Lovin', which shows the lads larking about in a department store. I went to Thurmaston because, from the bus, it has more than its share of Nonconformist chapels and Victorian schools. What I found there was an unexpected statue and piece of local history. 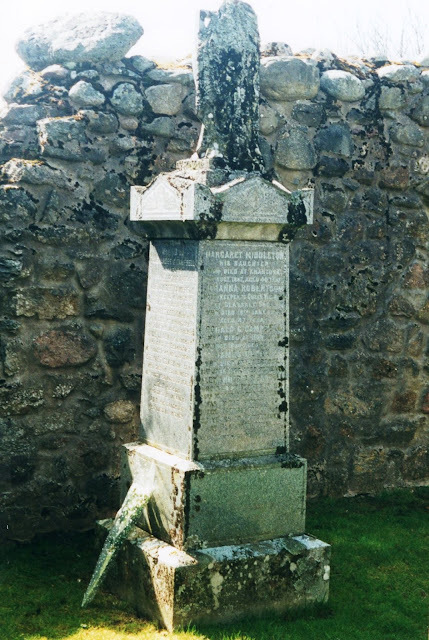 In case you can't read the inscription in the second photograph, the story of William Lane can be found online. His grave is the first you come to when you enter the churchyard. On Thursday I suggested there had been a deafening silence among liberals and the left about the conviction of Mark Meechan (aka Count Dankula) for posting a comic video. Only David Baddiel and Ricky Gervais, I suggested, had spoken up in his defence. The terrifying thing about this conviction is that the judge sided with the prosecution who said “context and intent are irrelevant” in a joke? In a bloody joke? Context is everything in a flipping joke! It’s happened. Like Iran, like Burma, like other countries where freedom of speech isn’t really their thing, the Scottish courts have convicted someone for telling a joke. This story is why the Left is losing. Caron Lindsay reviews Towards a Liberal Future by David Howarth and Bernard Greaves: "It’s a great read, and so fizzing with ideas that you might find it gives you the hiccups if you devour it too quickly." "The problem is that when these league tables are published, people have a very reductionist view of what they mean. And there’s no doubt that they have spurred a lot of internal strategies in this country and others which are dedicated almost exclusively to improving ranking on these scales." Kenneth Robinson is interviewed about his new book You, Your Child and School. Alexander Blum says the left's response to Jordan Peterson reveals many of its fault. The glamour, bullying and violence of the libertarian alt-Right has a direct political ancestor in the Italian Futurists of the early 20th century, argues Jay Griffiths. 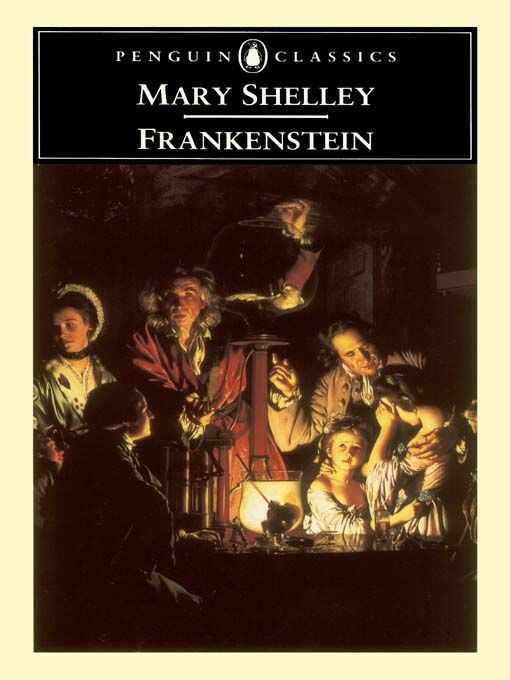 Listen to a discussion on Mary Shelley's Frankenstein on an RI Science Podcast. Lynette Cawthra discovers Votes for Catharine Susan and Me by Kathleen Ainslie, a 1910 children's book on the campaign for women's suffrage. Our coveted Headline of the Day Award goes to the Evening Standard. Excerpts from a speech given at the University of Western Ontario on 8 March 2005.
and seek respite from this in long-distance walking. Natural England, the Government’s adviser on protecting the natural environment, is examining ways to maintain a network of National Trails. Funding cuts have prompted concerns about the long-term sustainability of maintaining the trails which include the Hadrian’s Wall Path, Cotswold Way and the Thames Path. But Natural England believes the routes are "prime for sponsorship". When Paul Chambers was charged and convicted after sending a humorous tweet threatening to blow up an airport, liberals and the left were up in arms. Earlier this week a Scottish YouTube comedian, Mark Meechan (known as Count Dankula), was found guilty of a hate crime after posting a video of himself training his girlfriend's dog to give a Nazi salute in response to anti-Semitic commands. So far liberals and the left have been silent. The only exception is the video from David Baddiel and Ricky Gervais that I have posted above. The impression I get is that, while people on our side of the political divide are keen on free speech, we are even more keen that bad things should happen to people who do not share our views. We all tell black jokes from time to time. They appear after every tragedy or disaster - you could even argue they are part of our way of coping with such events. Certainly, the Forces and the emergency services, who have to deal with this sort of thing far more often than the rest of us, are noted for the dark shade of their humour. When does it become acceptable to repeat such jokes online? I have no idea and no idea of how to find out. The result is likely to be a cowing of British society. And, judging by this tweet, the Scottish Police are all in favour of that cowing. The first Liberal Party leadership election I followed was the one between David Steel and John Pardoe in 1976. With one loud Worraworraworraworraworra he jumped at the end of the tablecloth, pulled it to the ground, wrapped himself up in it three times, rolled to the other end of the room, and, after a terrible struggle, got his head into the daylight again, and said cheerfully. "Have I won?" Steel, incidentally, would be Rabbit, with the posse of advisers, assistants and minor Commonwealth dignitaries that used to accompany him being his equivalent of the Friends and Relations. The point of all this is to remind my fellow Liberal Democrats that our leadership elections are not always very enlightening. So while it would have been to see someone stand against Vince Cable last summer, there is no guarantee it would have led to the debate about our future that those keenest on a contest wanted to see. Because I can think of two contested Lib Dem leadership elections where the debate that was ducked. Let me first take you back to 2007 and the contest between Nick Clegg and Chris Huhne. The most noteworthy event of the campaign was an joint appearance on BBC1’s The Politics Show on Sunday morning where a briefing from Huhne’s camp was produced by the interviewer. It was headed “Calamity Clegg” and listed instances where Clegg had endorsed cuts in public spending. As the ensuing years were to show, Nick Clegg was less wedded to high levels of public spending than the bulk of the party – just look at the cuts in local government funding the Coalition brought in if you doubt me. This disagreement over public spending should have been at the heart of the contesnt, but there was a widespread attitude withln the party that it was poor taste of Huhne to raise it at all. Fast forward to 2015 and Tim Farron vs Norman Lamb. The idea that Farron’s Evangelical variety of Christianity might prove a difficulty for him as leader was in the air, but for the most part it was raised obliquely. Lamb put a lot of emphasis on his support for the ‘right to die’ because, I suggested at the time, it was an issue where most Lib Dem members agreed him but one where Farron’s beliefs would make it hard for him to do so. If Lamb had raised Farron’s religion more directly, I doubt his action would have been well received within the party. Certainly, when some of Lamb’s supporters engaged in what sounded like negative push-polling, it was an embarrassment to him. The result was that Farron’s religion was not discussed and the suggestion it might prove a handicap to him as leader was never broached. Some like to talk of the “Lib Dem family,” but in my experience happy families are those that can have lively discussions, even rows, and make their peace afterwards. We Lib Dems, by contrast, resemble an unhappy family where everyone is sat around the dining table on their best behaviour and terrified of saying the wrong thing. "Labour under Jeremy Corbyn has more than ever become wedded to centralised statism and a return to the 1970s, whilst the Greens continue to support an anti-growth, anti-free trade agenda. Neither of these positions are compatible with our vision of a liberal Britain." Andy Briggs on the Lib Dem spring conference's rejection of a "progressive alliance". Kiron Reid explains why the Organisation for Security and Cooperation in Europe has been observing the elections in Russia. "It has been described as one of the most loving and tender films about England ever made. It’s a picture that’s steeped in nature, in thrall to myth and history; a reaffirmation of the English character, customs and countryside from a time when many viewers may have wondered whether this underpinning had been kicked clean away." Kourosh Ziabari celebrates A Canterbury Tale. 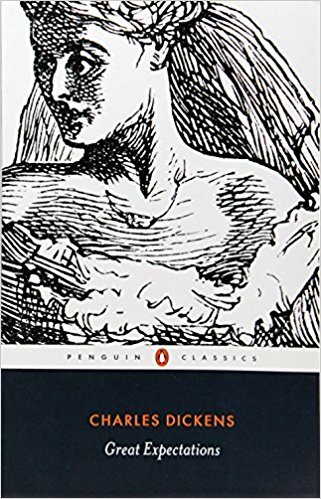 "While Miss Havisham has always been regarded as a bit of a freak, especially in certain productions of the novel in plays and films, her behaviour, while at the far end of the spectrum, also seems understandable." Lorraine Berry asks what this famous Dickens character can teach us about grief. Jonathan Liew pays tribute to Kevin Pietersen on his retirement: "For all the bad blood and the rancour, all the fraught meetings and snide briefings, the knives in the back and the knives in the front, the essential truth about Pietersen and England was this: they were stronger together, and weaker apart. " Chris Dale has photographs of the railways of North Devon in the 1960s. The Ecclesbourne Valley Railway, which runs from Duffield to Wirksworth in Derbyshire, held a diesel event this weekend. The most interesting visitor was the Warship D832 'Onslaught'. These class 42 locomotives, known as Warships because that was what they were all named after, ran on British Rail's Western Region between 1958 and 1972. There are not many names named, but Chuka Umunna, Chris Leslie and Anna Soubry all get a mention. There would be an irony in calling a new party Start Again unless it turned out to be devoted to something more than maintaining the status quo. R.E.M. were huge in the 1990s - arguably the biggest band in the world. Listening to their music now makes you yearn for a decade when the good guys seemed to be winning. I Believe is a track from the 1986 album Life's Rich Pageant. The band specialised in songs with lyrics that sounded significant but resisted explication, leaving listeners to supply their own meaning. Still, "I believe in coyotes and time as an abstract" sounds like the beginning of a serviceable creed. After I posted a distant view of a tidily restored West Bay station that I took in 1997, I remembered that this was not the first time I had been there. I first visited West Bay in 1982 and remember photographing the old station when it looked very different. Had I kept the photo? I had. Disused Stations confirms that this is West Bay and explains the scene. 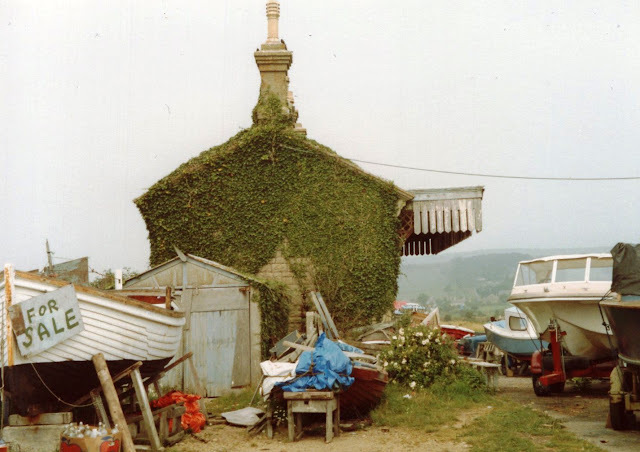 In the summer of 1982 the old station building served as the office for a boatyard. says Carole Cadwalladr, presumably in tomorrow's Observer. An earlier Carole Cadwalladr article mentioned that a former Lib Dem, Mark Gettleson, was also part of the Cambridge Analytica/Leave nexus. He was involved with Norman Lamb's leadership campaign in 2015. The other day I described Peter Phillips as "the doyen of Shropshire Liberal Democrats". As proof of this status he has sent me a photograph of a school election he fought as the Liberal Party candidate in 1964. He is on the far right of the picture. 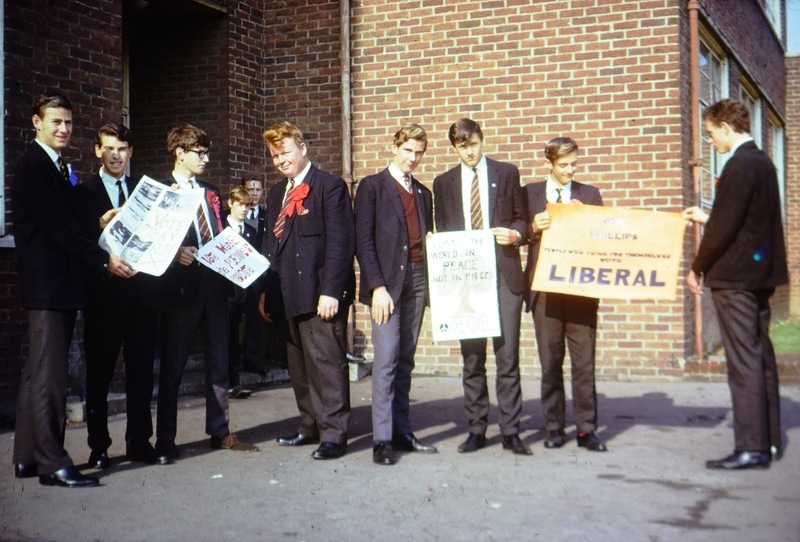 He tells me it was a grammar school, so the Conservative candidate got more votes than Labour and the Liberals combined. The death of Jim Bowen this weeks brings to mind the strangest episode in the history of his programme Bullseye. Let's begin on the Pembrokeshire coast. In 1989 a middle-aged couple, Peter and Gwenda Dixon, were murdered while walking the coastal path. Before they were killed they were forced to disclose the PIN number of their bank card, which was later used to withdraw money. Their murder attracted much media attention and there was a theory that they had somehow discovered an IRA arms dump, but no one was arrested for it. I recall an article from some years after the crime where a local police officer said "They met a devil on the path." Someone was convicted for the Dixon's murders, but it was 20 years after they took place. The culprit was a local farmer, John Cooper, who also turned out to have murdered another couple in 1985 after they disturbed him breaking into their house. At his trial for these four murders a clip from Bullseye was shown, because Cooper had appeared on the show two moths before the Dixons were shot. And you can see Cooper in the clip above - he had already committed two murders. He is the one Jim Bowen has his arm around as it begins to play. Cast a sceptical eye on the contestants next time you watch a game show. Our Headline of the Day comes from Romania Insider. Daisy Benson says Liberal Democrat women will increasingly shape the party's future. "An immigration-customs check, with armed guards and police dogs; then, a sort of demilitarised zone so the helicopters can see anyone making a run for it, with all trees in the zone removed; followed by another strict immigration-customs check. If you put anything like it in Ireland, I can only imagine the reaction." Nick Tyrone shows that the USA-Canada border is not model for Ireland. Keith Frankish offers his choice of the best books on the philosophy of mind. "On Margate Sands./I can connect/Nothing with nothing." Jenny Uglow visits an exhibition inspired by T.S. 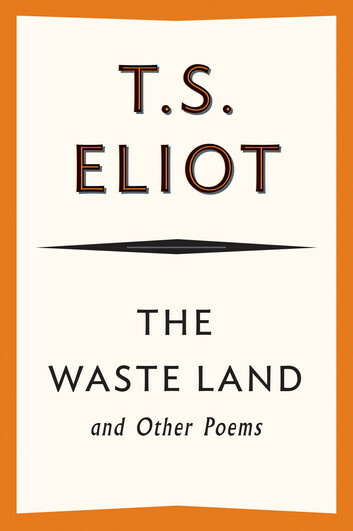 Eliot's The Wasteland. Rob Baker on the British actress Kay Kendall, who died in 1959 aged just 32. "In that 'ghost village' there was no sign of modern technology, no electric or phone wires, no antenna, no street lights, no garden." In enthusiastic English, Alberto Miatello discusses the Kersey time slip of 1957, in which three naval cadets appear to have seen the village at least 50 years before. I was sad to hear of the death of Ken Dodd. 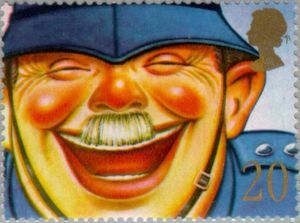 He was a great clown and felt like our last link to the world of the music hall. There is also comfort as you get older in figures that, as far as you are concerned, have always been there. Now one more of them has gone. The photograph above shows the statue of Dodd at Liverpool Lime Street. I am not sure it quite catches him - the one of the Labour MP Bessie Braddock that stares across at him is better. Below, in the style of a harassed moden journalist, are three tweets about the great man. This is the title track from a 1968 album that was an early essay in prog rock - one of the tracks was 17 minutes long. Don't panic, this one is only three and a half minutes long and still sounds good. Now listen to Pandora's Box by Procul Harum. 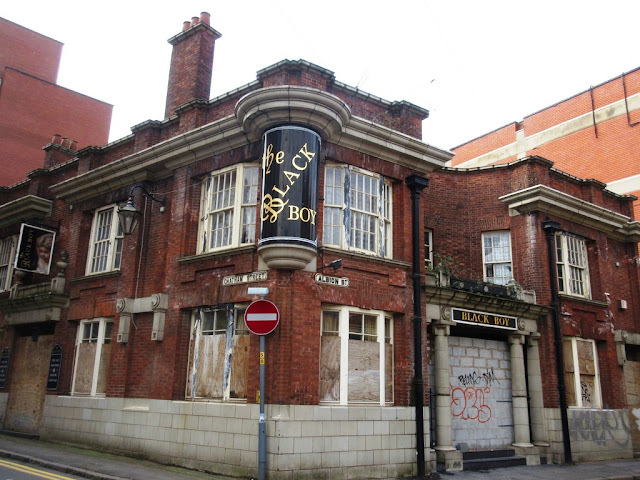 The developers who failed in their attempt to demolish the old Black Boy pub in Leicester have come up with a new scheme for the site that incorporates the building. "They are for retail use on the ground floor - perhaps even a pub - then flats above. “The extensions proposed are at the rear away from the frontage. This is West Bay station in Dorset, which marked the end of an extension to the Bridport branch. It was hoped that West Bay would be developed as a tourist resort - the name was newly coined because it was thought to sound more attractive than Bridport Harbour. But it never really happened and the line closed to passengers in 1930 and to goods in 1962. 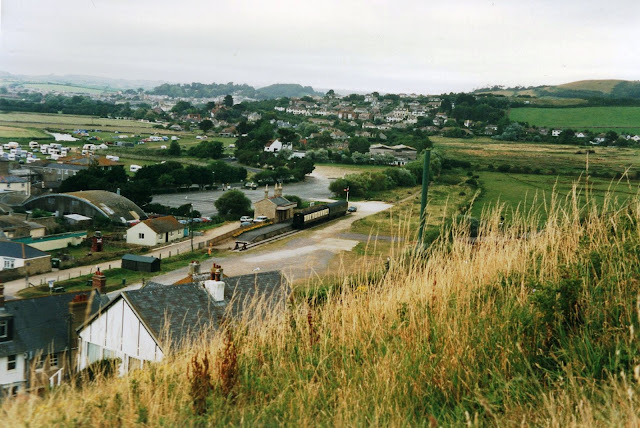 But the station was still there, restored and home to a couple of vintage railway carriages when I photographed it from the hill above in 1997. You won't believe how the station looked in 1982. Two senior Liberal Democrats are making a dramatic return to City of York Council’s executive - six months after being suspended by former council leader David Carr. Former council deputy leader Keith Aspden and Cllr Nigel Ayre have been re-appointed under a new deal struck between the authority’s coalition partners, the Lib Dems and the Conservatives. Cllr Aspden will be group leader and executive member for economic development and community engagement, while Cllr Ayre will be executive member for culture, leisure and tourism. David Carr was recently ousted by his fellow Conservative councillors. He never said what the allegations were against Aspden and Ayre, and the police long ago announced they would not be investigating them, but he was convinced that their suspension was necessary. It was Carr's suspension of a Conservative councillor for apparently doing no more than conscientiously declaring an interest that led to his downfall. Maybe he just liked suspending people? The council is currently run by a joint Conservative/Lib Dem administration. A wealthy American has paid £1 million to rent the Lib Dems' former headquarters for a year - in Britain's most expensive 'try-before-you-buy' property deal. The top end of the housing market has suffered in recent years on the back of political uncertainty, Brexit and increased stamp duty. And this has led to an increase in super-tenants who choose to 'test drive' a mansion before committing to buying. One estate agent has now claimed to have set a record for a 'try-before-you-buy' client after they struck a £1 million deal on the £36million Westminster mansion. The Mail has photographs of the interior of the old place after its conversion into a mansion and you can find the full particulars on the the site of Savills the estate agent..
A Grade II Listed building, 4 Cowley Street was constructed in 1904-5 by the architect Horace Field as offices for the North Eastern Railway. Tony Robinson is interviewed here on Sixteen Million Rising, which bills itself as "the UK's First 'Grassroots' Pro-European Radio Show!" His argument that we should be encouraging about any movements towards us be Leave supporters, and not dismissive, seems to me exactly right. Robinson also touches on the current state of the Labour Party - well worth a listen. Broadcast between 1967 and 1969, Do Not Adjust Your Set was an ITV comedy series for children. It starred three-fifths of the Monty Python team in the shape of Michael Palin, Terry Jones and Eric Idle. The show also used animations by an American called Terry Gilliam, which was how they came to meet. Two more actors on the show were Denise Coffey and David Jason. It is their contributions that I remember most clearly. The latter rather expected to be asked to join the others in their new project, which became Monty Python, but he wasn't. But then this wasn't David Jason's only early disappointment. He rather specialised in playing elderly characters and was put up for the part of Corporal Jones in Dad's Army, but that went to Clive Dunn. The show also featured the Bonzo Dog Doo-Dah Band. In his commentary of the DVD of the Rutles film All You Need is Cash, Eric Idle says the sense of humour of the Bonzos' lead singer Viv Stanshall was a strong influence on the Python team. All in all, this was a casket of riches to set before children. Do Not Adjust Your Set, named after the caption broadcasters used to screen during faulty transmissions, included a number of elements that today seem out of place in children's TV. Aside from a naked, but carefully posed, Eric Idle, the series also parodied adult programmes, such as the antiques quiz show Going for a Song (BBC, 1965-77), another idea that would become a mainstay of Monty Python. There were two regular features. The first was the adventures of Captain Fantastic, played by Jason, a super-hero parody about a man in a bowler hat and buttoned up raincoat whose nemesis Mrs Black, played by Coffey, is "the most evil woman in the world". The segment, with a voice-over explaining the action, consisted largely of speeded up film and slapstick pratfalls. The second regular spot was a musical performance from the Bonzo Dog Doo-Dah Band, a distinctly odd group that had a top five hit in 1968 with 'I'm the Urban Spaceman'. Band member Neil Innes, a longtime Python collaborator, later provided the music for The Rutles ... a Beatles parody written by Idle. Anyway, after a glimpse of the Bonzos, the video above shows a sketch from the series. Natalie Bloomer lists 32 homeless people who have died on our streets this winter. She is sure there are many more. 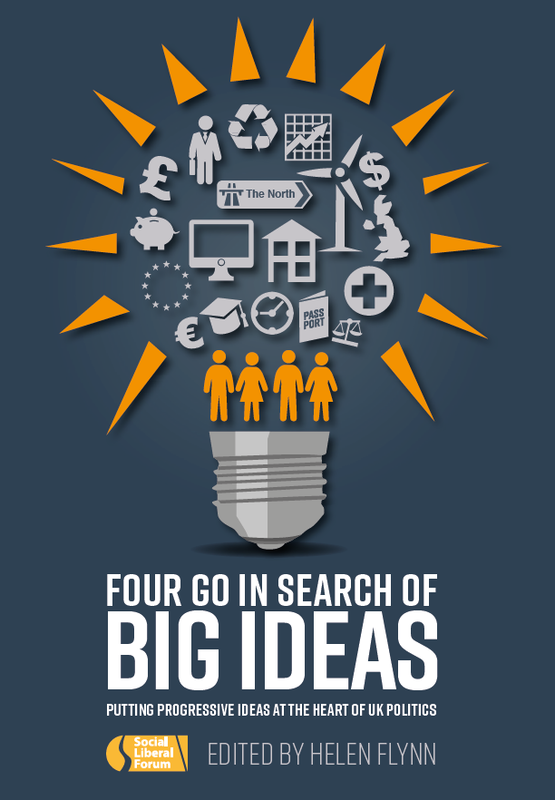 "The Social Liberal Forum is publishing this book to contribute to a Progressive Alliance of Ideas, People and Campaigns. Contributors including leading Liberal Democrats and people from other political backgrounds and some from outside formal parties." Gordon Lishman will tell you all about it. "Whatever the people in charge did or didn’t know, they should stand down. Horrendous crimes happened on their watch. They owe it to the hundreds of lives wrecked as a result of what happened under their noses for years. There are too many names on the headed paper that have not changed in 30 years." Adam Breeze has turned his back on Crewe Alexandra. Modernism in Metro-Land looks at John Betjeman's television documentary Metro-Land, which was first screened 45 years ago. "1963’s Tom Jones might be amongst the least timeless of the 89 films to date that have taken home the Best Picture prize. 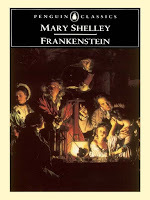 Tony Richardson’s adaptation of Henry Fielding’s 1749 novel, which chronicles the adventurous life of a womanising troublemaker of dubious origin played by Albert Finney, is a British film that found a home in Hollywood at a crucial moment in which the American film industry was desperately looking elsewhere for inspiration, relevance, and a fresh identity in the age of television." Landon Palmer analyses a British Oscar winner. Marc Freeman on the great American television comedy M*A*S*H.
A little idle googling last October led to the discovery that Giles Cheatle, a left-arm spinner who played for Sussex in the 1970s, has a daughter. And that daughter, Lauren Cheatle, is a promising left-arm seamer and a member of the Australian women's squad. The post about them has a lovely photograph of her in action. In a charity shop on Saturday I picked up a copy of John Barclay's Lost in the Long Grass. Barclay played in the same Sussex side as Cheatle as an opening batsman and off spinner. He later became the club's captain, though Cheatle had left for Surrey by then. Each chapter focuses on a different episode, from the former minister who faked his own death in the 1970s to Geoffrey Howe's perfectly executed plot to topple the Prime Minister in the 1990s and Chris Huhne's swift journey from despatch box to jail cell in the 2010s. 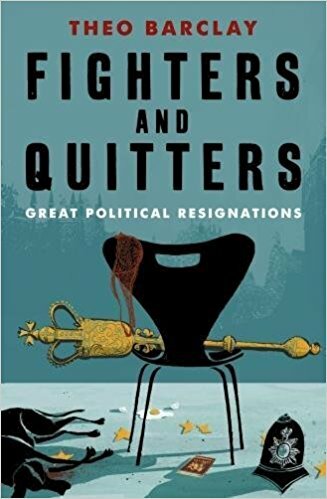 You can watch Theo Barclay talking about the book on a recent edition of The Daily Politics - the item starts at 53.00. Peter Phillips, doyen of Shropshire Liberal Democrats, sends me this photograph of a Tesco delivery van abandoned in a snow-choked lane deep in the county's hills. He speculates that the locals may prevent its contents going to waste, much as happened in Whisky Galore. The Independent Inquiry on Child Sexual Abuse is not attracting much media attention, even though its hearings on Cyril Smith and Knowl View appear to have led to the resignation of the Labour leader of Rochdale.Borough Council. It has now produced its first report, which is Child Migration Programmes and it appears to be a good piece of work. It bears out what another of my alter egos, Professor Strange, has argued. These programmes were not a secret, as later commentators so often maintain: they were widely discussed and controversial at the time. Many reports on child migration were available to HMG during the 1950s. Perhaps the most significant was the Ross report (1956). Ross visited 26 out of 39 institutions in Australia to which British child migrants were sent. The reports on many of these places were extremely critical. The conditions at several of them were judged to be so bad that they were put on a ‘blacklist’ and regarded as not fit to receive any more child migrants. Still, HMG did nothing effective to protect the children. We concluded that the main reason for HMG’s failure to act was the politics of the day, which were consistently prioritised over the welfare of children. HMG was reluctant to jeopardise relations with the Australian government by withdrawing from the scheme, and also to upset philanthropic organisations such as Barnardo’s and the Fairbridge Society. Many such organisations enjoyed patronage from persons of influence and position, and it is clear that in some cases the avoidance of embarrassment and reputational risk was more important than the institutions’ responsibilities towards migrated children. London-based Lookman Adekunle Salami, known as L.A. Salami, is equally adept playing a full club or a quiet living room. On stage he’s a whirl of acerbic energy, eschewing guitar to throw himself into singing and leading his band in between asides to the audience. His songs are crowded with restlessness observations of modern life and indictments of modern urbanisation, the treatment of refugees and race. He released this single last year. This extraordinary photograph shows Nottingham station - Nottingham Midland as it would have been in those days - during the floods of 1947. I once blogged about those floods, which hit the Fens hardest but affected other areas too. The waters that inundated Nottingham Midland must have come from the Trent via the Nottingham Canal, which runs beside the station. You can also see the overbridge that carried the Great Central on its way to Nottingham Victoria and Sheffield. I remember it from my trainspotting days in the 1970s - in fact it was used by freight trains until 1973. These took a complicated route involving the locomotives running round their trains in the city centre to serve the Ministry of Defence depot at Ruddington. The need for the bridge disappeared when a simple curve was put it at Loughborough for the Ruddington trains to use and it was removed in the early 1980s. When Nottingham's new tram system was extended south of the city a few years ago, a viaduct was built on the same alignment. England has been in a dreadful state for some weeks. Lord Coodle would go out, Sir Thomas Doodle wouldn’t come in, and there being nobody in Great Britain (to speak of) except Coodle and Doodle, there has been no Government. It is a mercy that the hostile meeting between those two great men, which at one time seemed inevitable, did not come off; because if both pistols had taken effect, and Coodle and Doodle had killed each other, it is to be presumed that England must have waited to be governed until young Coodle and young Doodle, now in frocks and long stockings, were grown up. Charles Dickens skewered a certain school of political journalism in Bleak House, but that school is pre-eminent today. It's all about who's up and who' down among a small cast of players. Hot takes are filed on the hour. And, though I have always had a weakness for gossip myself, it's almost all instantly forgettable. At my more thoughtful I prefer commentators like Neal Ascherson and Ian Jack who can bring a historical perspective to bear on contemporary events. During the Scottish referendum campaign in the summer of 2014 I met a painter and decorator on the island of Bute who said he was voting for Scottish independence. “You have to.” Why? 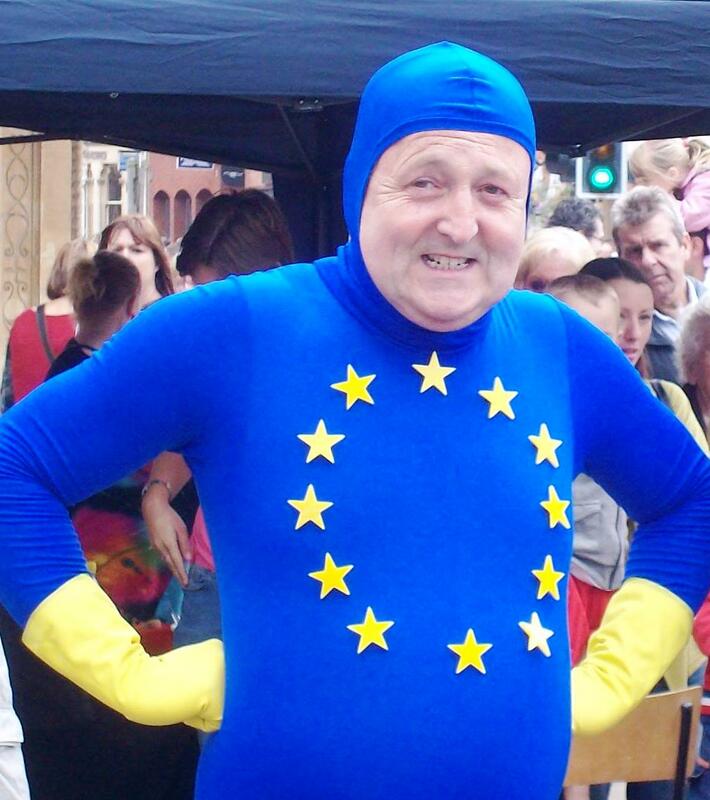 He knew people in Sunderland, “and every one of them wants to leave Europe”. Sunderland, with its big car factory that exported cars to the continent? Surely not. “Yes, they want to leave.” He laughed at the daftness of it. I didn’t believe him. And there was a lot of complacency about. David Cameron and George Osborne had convinced themselves they were political geniuses. So what if the right wanted to limit who could vote in the referendum to skew the electorate in favour of Leave? They were bound to win it anyway. Who was put in charge of the Remain campaign? Jack Straw's son, whose life had hardly been one of political struggle, and the mastermind of the Liberal Democrats' 2015 general election campaign. And if half the passion that has been put into Remain since the referendum had been evident during the actual campaign the result might have been different. That said, much of that passion has been devoted to laughing at or demonising the people who voted Leave, which is hardly likely to win them over. Anyway, read Ian Jack's piece for yourself and read him in the Guardian every Saturday - there is an archive of his columns on the paper's website.